Meredith strives to understand what her clients are working towards, so she can help them create the right plan for their assets. In estate planning the work is often personal and her clients appreciate her empathy. Meredith treats her clients like family; always thinking about what advice she would give her own mother or father. 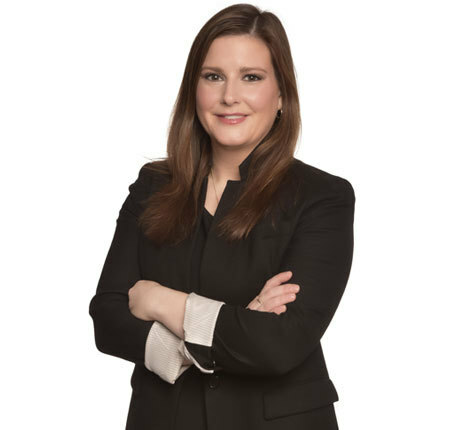 As a member of the firm's Estate and Business Planning Practice Group, Meredith helps clients develop estate plans, navigate probate court, litigate fiduciary matters, and represents clients in matters related to taxation law and real estate. Meredith assists clients with the administration of trusts and estates, and works with clients on estate planning through the creation of wills, revocable trusts, special needs trusts, irrevocable trusts (including irrevocable insurance trusts and asset protection trusts), powers of attorney, the use of lifetime gifting, charitable foundations, and closely-held business succession planning. Meredith also represents clients in the negotiation of leases, and sales and acquisitions of real estate. Meredith works with clients on post-death trust and probate administration, including administering trusts, filing estate tax returns, opening and administering probate estates, and estate and trust accountings. She also appears before the probate court to obtain and administer conservatorship and guardianship estates for disabled adults. When a fiduciary breaches their duty, he or she may be held personally liable for the resulting harm through a breach of fiduciary duty claim. Meredith works with clients in adversarial litigation involving will contests, trust contests, fiduciaries, beneficiaries, probates, elder abuse, conservatorships, and other disputes. In matters of taxation law, Meredith prepares estate and gift tax returns as a part of trust administration, and also appears before the IRS when assisting non-profit organizations with obtaining and maintaining tax exempt status. She advises clients on the tax impact of both routine and extraordinary business activities, including entity formation; termination and liquidation; financing; complex real estate transactions; like-kind exchanges; and mergers, acquisitions and reorganizations. Outside the office, Meredith serves as a member of the board of trustees of Loyola Academy, and is also an active member of the St. Louis-Jefferson chapter of the Daughters of the American Revolution.